FARGO, N.D. – After Kansas City took an early lead, Lucas Irvine took over and went the distance in a 4-0 win over Fargo-Moorhead on Sunday afternoon. 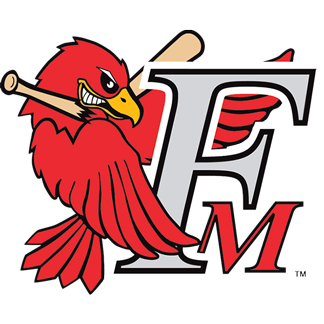 FARGO, N.D. – Fargo-Moorhead scored in six innings, including a 10-run seventh inning, and handed Kansas City its worst shutout loss in franchise history, 17-0, on Saturday night. 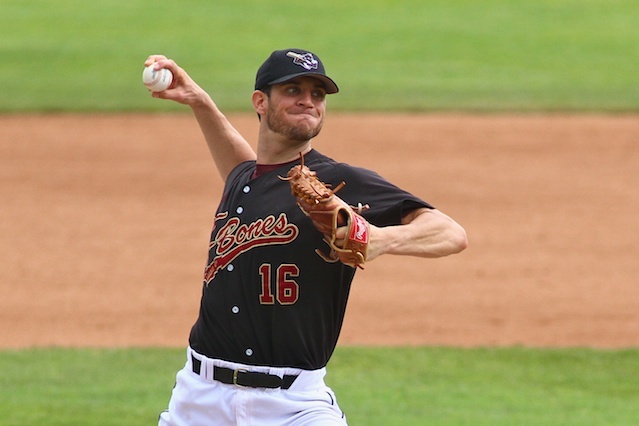 FARGO, N.D. – The Kansas City T-Bones’ defense aided Fargo-Moorhead to a 5-2 win on Friday night. 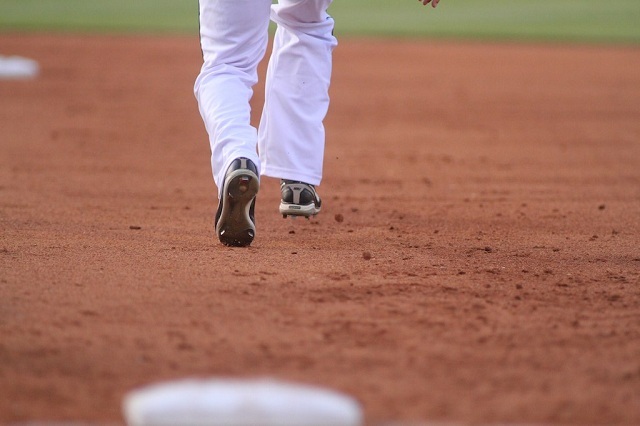 Kansas City had three errors, which turned into two of the RedHawks’ runs. GARY, Ind. -- The T-Bones rallied late but fell short, as Gary SouthShore completed a four-game sweep, 4-3, on Thursday night. GARY, Ind. – The Gary SouthShore RailCats picked up their seventh consecutive win and handed Kansas City its third consecutive loss, beating the T-Bones 4-0 on Wednesday night. GARY, Ind. – A wild pitch with two outs in the bottom of the ninth brought home the winning run for the RailCats on Tuesday afternoon. A five-run fifth inning behind the concrete pitching of Shaun Garceau solidified the T-Bones’ 6-4 victory in the series finale against the Laredo Lemurs on Sunday night. Behind the pitching of Devin Anderson, Kansas City ended a six-game losing streak with a 6-5 victory over the Laredo Lemurs in front of 7,932 at CommunityAmerica Ballpark on Saturday night. 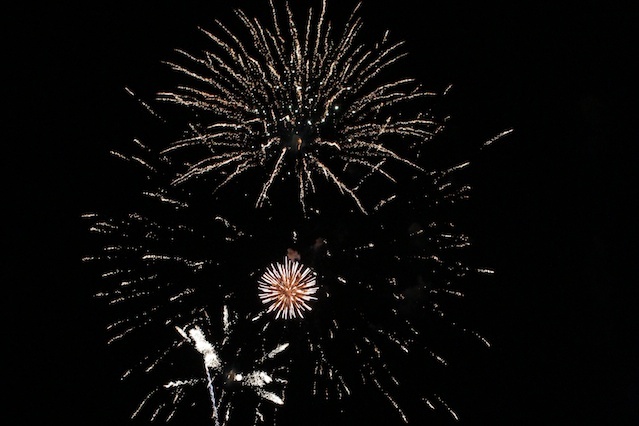 The Laredo Lemurs smacked 22 hits in a 19-9 victory over the Kansas City T-Bones in front of 7,011 fans at CommunityAmerica Ballpark on Friday night. Royals Hall of Fame pitcher, Bret Saberhagen, was at CommunityAmerica Ballpark on Friday night and talked with Matt Fulks about his career. Despite two home runs and a ninth-inning rally, Grand Prairie AirHogs wrapped up a three-game sweep, 4-3, in front of 5,988 at CommunityAmerica Ballpark on Wednesday afternoon. As T-Bones President Adam Ehlert sits in his office at CommunityAmerica Ballpark, one thing is obvious: he loves his job and this organization. 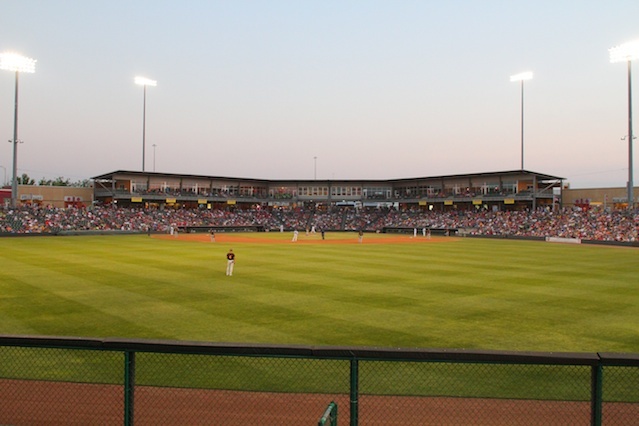 KANSAS CITY, Kan. – Kansas City dropped an early one-run lead, falling 3-2 to the Grand Prairie AirHogs on Tuesday night at CommunityAmerica Ballpark in front of 8,452. A late battle awakened the Kansas City offense but it wasn’t enough to power past the Grand Prairie in a 9-4 loss at CommunityAmerica Ballpark on Monday night. LINCOLN, Neb. 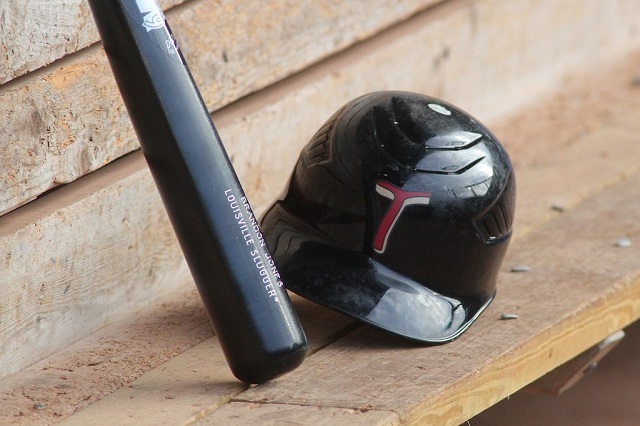 – The T-Bones battled late but couldn’t overcome 13 walks given up by the pitching staff in a 7-6 loss to the Saltdogs on Sunday night at Haymarket Park. LINCOLN, Neb. – Kansas City struggled to get timely hits, stranding 10 runners, and had three untimely errors in a 3-1 loss to Lincoln on Saturday night at Haymarket Park. LINCOLN, Neb. 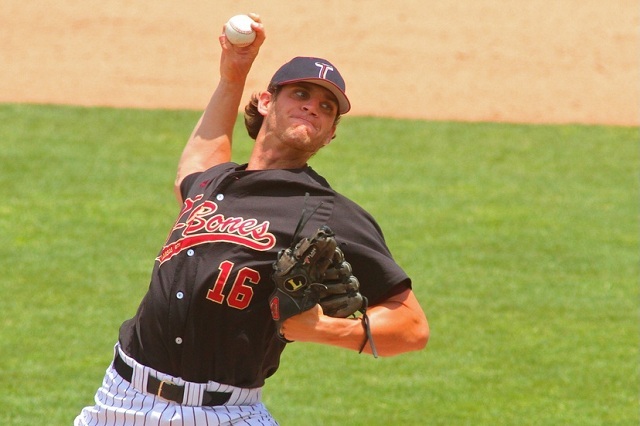 – Lucas Irvine, looking for his first win of 2013, threw a complete-game three-hitter, as the T-Bones beat Lincoln 6-1 Friday night at Haymarket Park. LINCOLN, Neb. 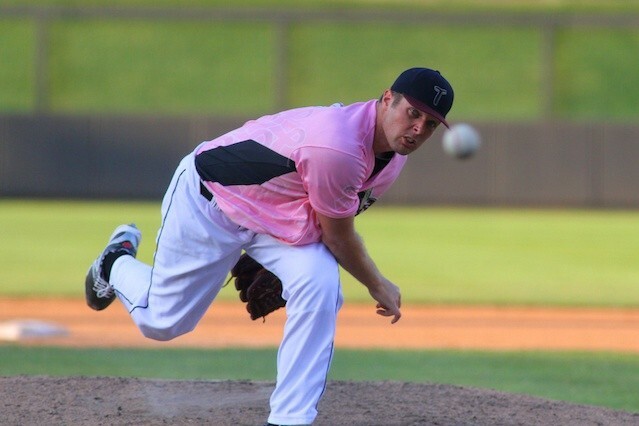 – The T-Bones, behind costly mistakes and a struggling bullpen, dropped their second consecutive game on the road trip with a loss to Lincoln on Thursday night. Annual Kevin Gray Father's Day 5K Run is Saturday! Are you looking for a great event to do with the family or even alone this weekend, while helping others? The Kevin Gray Father's Day 5K Run is this Saturday. SIOUX CITY, Iowa – For the first time this series, a Sioux City pitcher had the T-Bones’ number, as Kansas City dropped the series finale, 8-2, against the Explorers on Wednesday night. The T-Bones racked up 17 hits and, for the second consecutive game, never trailed Sioux City in a 10-1 win over the Explorers on Tuesday night. SIOUX CITY, Iowa – Despite giving up three runs in the ninth with the winning run at the plate, the T-Bones held on for a 6-5 win over Sioux City on Monday night. Quebec City overcame an early Kansas City lead and took the rubber match of the three-game series at CommunityAmerica Ballpark on Sunday night. Four RBIs from Matt Padgett, including the 900th in his career, powered the Kansas City T-Bones over the Quebec City Capitales, 9-4, in front of 7,286 at CommunityAmerica Ballpark on Saturday night. 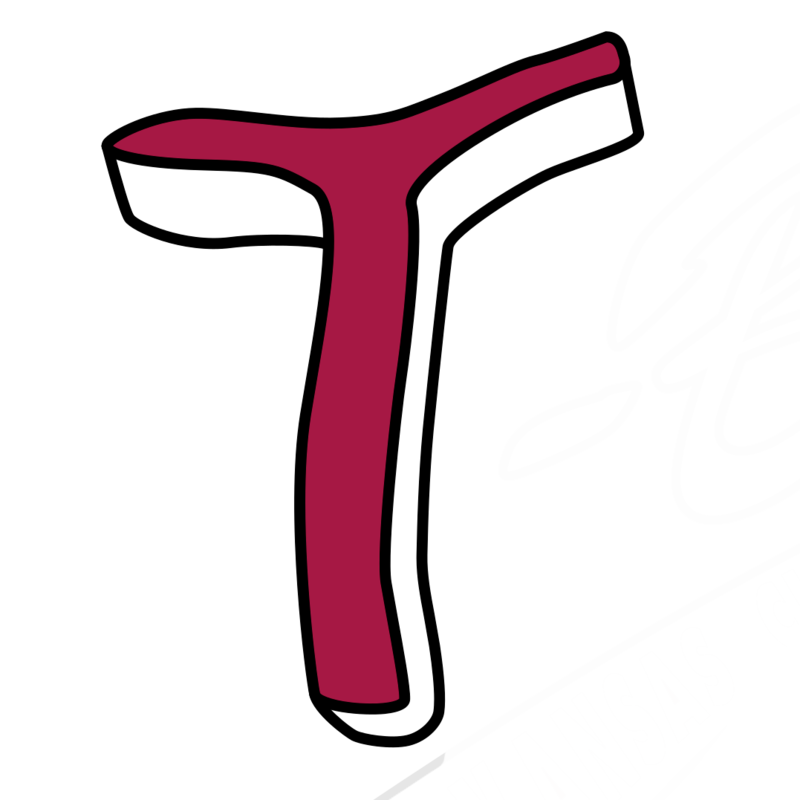 T-Bones hosting blood drive Saturday, 9:30 a.m. - 4:00 p.m. The Kansas City T-Bones are teaming up with the Community Blood Center on Saturday to host a blood drive in the parking lot at CommunityAmerica Ballpark. The Quebec City Capitales shut down the Kansas City offense for eight innings Friday night, taking the series opener 3-2 before 6,097 at CommunityAmerica Ballpark. KANSAS CITY, Kan. – Kansas City’s offense came alive late in the game with eight hits, including two three-run home runs, and powered past Sioux City in a 9-2 win Thursday night. Kansas City’s two out, sixth-inning rally, capped by Jairo Perez, was enough to give Kansas City a 2-0 win over Sioux City on Wednesday afternoon after a two and a half hour rain delay. The T-Bones welcome their newest player, right handed pitcher Eric Gonzalez from the Camden Riversharks. The Sioux City Explorers outdueled the T-Bones in a defensive affair Tuesday night, nabbing the winning run in the eighth inning on an error by Jairo Perez. Five hits and five RBIs from the duo of Kennard Jones and Felix Molina propelled the Kansas City T-Bones to a 9-4 victory over the Sioux City Explorers on Monday night at CommunityAmerica Ballpark. The T-Bones begin a seven-game homestand tonight with plenty of promotions for fans of all ages. 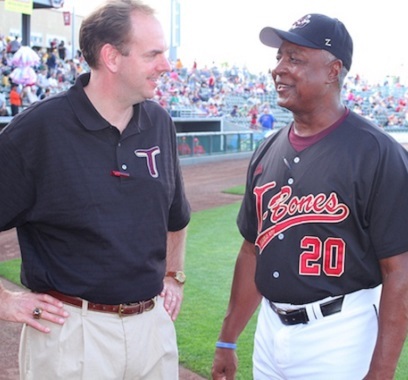 LAREDO, Texas – The T-Bones were unable to get a sweep against Laredo on Sunday, as the Lemurs took advantage of two Kansas City errors and went on to win 4-2 at Uni-Trade Stadium. The T-Bones scored two early runs and held off a late Lemur rally, in an 11-10 win on Saturday night at Uni-Trade Stadium.